Hightex® Dynamic Aluminium shutters are designed to provide security to commercial areas, and are applicable for home garage. The standard thickness is 1.0mm and the base material is aluminium. The furnishing of aluminium shutters is natural anodize (NA). For other required colors by customers, powder coating is another option. Hightex® Dynamic offer a range of standard powder coating colors. 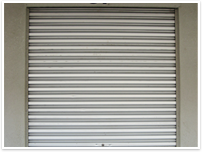 Aluminium roller shutter can be considered if the shutter area is always wet and damp, such as kitchen area and expose to rain. Aluminium slats will not rust if it handles with cares. 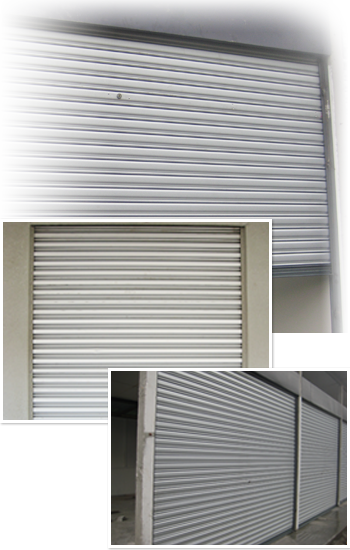 The maximum size of aluminium shutter is 6,500mm(width) x 5,000mm(height). The motor used will be single phase. 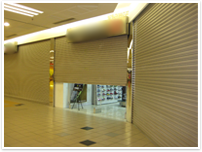 For manual shutters, the maximum size is 4,000mm(width) x 3,000mm(height). Any additional length for manual operated, center mullion can be added. The aluminium slats may include multiple ventilation slots 120mm width x 20mm height, which provides 20% free air flow per linear metre of slat. The ventilation slat should be place at the top of roller shutter for security purpose, while enable free air flow.